Our Monrovia car accident lawyers and law firm provide expert personal injury legal services for those injured in auto, motorcycle and other accidents, and for the relatives and families of those killed in car and other accidents for wrongful death claims, in Monrovia, Los Angeles, California, a city of 36,000 people, located in Los Angeles County, California. If you had a car accident or other personal injury claim in Monrovia or anywhere else in California, please contact our injury attorneys and legal team now for a completely FREE CONSULTATION. For additional helpful information, please see our complete web site by clicking here. 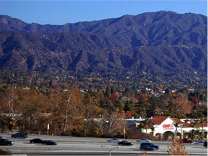 Located in the foothills of the San Gabriel Mountains, Monrovia is used by many filming numerous TV shows and movies. 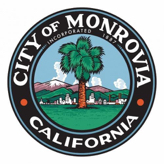 Monrovia has a beautiful landscape with much open land and is conveniently located near Duarte, Arcadia and Sierra Madre, in Los Angeles County. Adults drank too much and then got behind the wheel about 112 million times in 2010 - that is almost 300,000 incidents of drinking and driving each day! If all 17 million people who admitted to driving drunk in 2010 had their own state, it would be the fifth largest state in the U.S.
A Monrovia car accident can be a devastating, stressful event that can cause terrible damages for the victims involved so it is vital for those injured who experience such a tragic accident to have an expert car accident lawyer help them. Because of our success in handling car accident and other personal injury claims for more than 40 years, we have been recognized as the PERSONAL INJURY LAW FIRM OF YEAR 2011; and two of our attorneys, Robert Walch and Gary Walch, were each selected as Top Lawyers in California (Highest in Ethical Standards & Professional Excellence). Our aggressive but compassionate attorneys and staff have resolved thousands upon thousands of car accident and other personal injury cases for over 40 years and work tirelessly and extraordinarily hard to make the claims process as easy as possible for our clients, the victims and their families. You will find a great amount of helpful information by visiting our new and updated Car Accident Web Site. The Walch Law Corporation has recovered over $100,000,000.00 in funds for its clients; and also offers the victims of car accidents assistance with medical care (regularly without any payment until the case is resolved), specialists, property damage repair and settlement. You can find out what our clients have to say about us on our Car Accident Testimonial Pages simply by clicking here. Concussion injury is just one of the many injuries that the victims of car accidents experience. Concussion injuries typically derive from events such as car accidents, sports injuries, falls or motorcycle & truck accidents. A concussion can be described as a mild (or more severe) brain injury that results in a momentary alteration in brain function. The brain is composed of soft tissues encased within the hard bone of the skull. The injury occurs when your head is hit or jolted and your brain's soft tissue moves in response to the sudden force. At impact with the skull, the brain can become bruised, tissues can be torn and minor swelling can occur. An injury to the brain can cause neurons (nerve cells) and nerve tracts (neurological pathways) to alter or not function properly which can then change the way you think, act or feel. If you or someone you care about sustained any concussion injury from any car accident or other personal injury accident in Monrovia or anywhere in California, please contact us now, including for referrals to doctors who may provide treatment without expecting any payment until the claim is completely resolved. The Law Offices of Gary K. Walch provides you the professional support you need while offering you and the expert advocacy that is essential for you to have when you or a loved one has been through a catastrophic car accident or other personal injury accident in Monrovia, Los Angeles or anywhere in California. Our job is to stand for your interests while we personally make it our obligation to protect your rights to the highest standard. Our staff handles accidents involving car, motorcycle, truck, bus, train, bicycle, pedestrian, hit and run, uninsured motorist (UM) and much more. 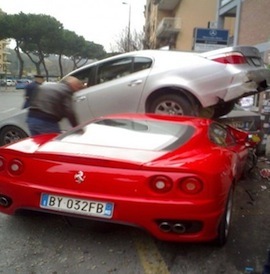 Call us for an absolutely FREE consultation to review and analyze your car accident or other personal injury case. For your convenience you don’t even need to leave the comfort of your own home. Just like many of our clients you can do everything by telephone at 818-222-3400or toll free 866 INJURY 2 (465879 2), email (info@WalchLaw.com) or simply complete our very easy to use contact form.